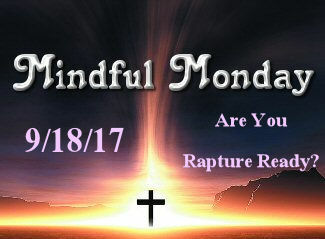 Home › Bible Prophecy/End Times › Mindful Monday Devotional – Are You Rapture Ready? This week’s Mindful Monday devotional is very near and dear to my heart. The devotional is given by Anne Graham Lotz. You may know her best as the daughter of Billy Graham. As many of my readers and those who know me are aware, the Rapture and Bible prophecy as a whole is a calling of mine, and has been since a few years before I gave my heart to Christ when I was a senior in high school. Both of my grandfathers were pastors so I grew up in my mom’s dad’s church in my early years. The closest I became aware of what the end times were back then was from singing the song, “I’ll Fly Away.” As a child, I just thought the song was about the time of our deaths. departure and arrival times. I decide the messages I will give and the clothes I will wear. I make arrangements for my pets to be cared for and my home to be secure in my absence. 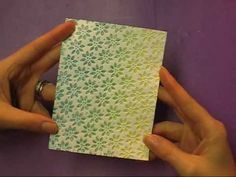 And to make sure nothing is forgotten or overlooked, I make a checklist that I continually reference. Preparing to leave takes time, thought and energy. The Bible teaches that all followers of Jesus are to plan and prepare for a “trip.” The trip is not only undertaken when we move to Heaven following death, but it is also a very unique one that will take place at the end of human history as we have known it. We are told that believers in the last generation will not experience physical death, but will be caught up in what is called the “rapture”… the “snatching away”… to meet Jesus in the air and be reunited with loved ones who have died in Christ and have gone before us. It will be the trip of a lifetime—a trip that is out of this world. Are you ready? Read John 14:1-3; 1 Thessalonians 4:13-18; 1 Corinthians 15:51-58. What is the primary purpose of the trip, also known as the rapture? Read John 14:1-3; 1 Thessalonians 4:16-17; and 1 Thessalonians 5:10. What phrases indicate we will leave suddenly? See 1 Corinthians 15:51-52 and Matthew 24:36-44. Are you ready to leave at a moment’s notice? What are two blessings of knowing about our trip in advance? Read Matthew 24:44; 1 Thessalonians 4:18; and 1 Thessalonians 5:11. Where does the command to love others come from? See John 13:34-35 and 1 Thessalonians 4:9. Give aspects of this love from the following verses: Romans 12:10; Galatians 5:13; 1 Peter 1:22; 3:8; and 1 Corinthians 13:4-7. What is our motivation to love, as shown in 1 John 3:23 and 1 John 4:11? Who do you know who needs to hear of God’s love as expressed in John 3:16 before you leave? How is faith established, in Romans 10:17? What do you need to do to make sure your faith is established … rooted … grounded? Who do you need to help establish authentic faith before you go? Will genuine faith be a common characteristic of people before Jesus returns? Read Proverbs 20:6; Luke 18:8; and Matthew 24:10. How critical is our faith as we prepare for the trip? Read Hebrews 11:5-6; Romans 5:1-2; and 1 Corinthians 15:13-20. As life becomes more difficult in the last days before we take our trip, what difference does our faith make? Read Matthew 7:24-27. What do you need to do to obey the commands in 1 Corinthians 16:13? What is our hope, as given in Titus 2:13? How does Peter describe our hope in 1 Peter 1:3-5? Is Biblical hope half-hearted? Read 1 Peter 1:13. Put Psalm 33:20 into your own words, as a prayer. Putting 2 Peter 3:9 with 3:15, why have we not left yet? Who do you know who seems hopeless concerning the future? How can you share your confidence with him or her? Define holiness from 2 Corinthians 7:1 and 1 Thessalonians 4:3-7. Explain in your own words what it means to be holy. How important is it to be found holy when Jesus returns for us? Read Hebrews 12:14 and 2 Peter 3:11-14. Is holiness optional? See 1 Peter 1:15-16 and 1 John 2:28. What do you need to do now to be more holy today than you were yesterday? More holy tomorrow than you are today? As the time for our trip draws near, what two types of servants does Jesus describe in Matthew 24:45-51? Why are some servants not steadfast? Read 2 Peter 3:3-7 and Matthew 25:5. What encouragement do you receive from 1 Corinthians 15:58? Galatians 6:9? See also 1 Corinthians 3:11-15 and Matthew 25:21, 23. What is your service for Jesus? How can you serve Him even more as the time for departure draws near? How will we know when it’s time to leave? Read 1 Thessalonians 4:16-17. When the call to leave comes, will you be ready? We haven’t left yet, so there is still time to increase and excel in each item on the checklist. 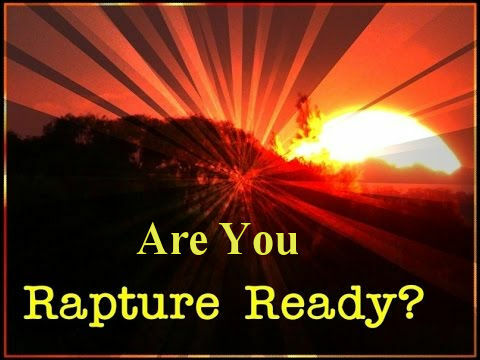 Ask God to help you prepare so that you are rapture ready. “May the Lord make your love increase and overflow for each other and for everyone else, just as ours does for you. May he strengthen your hearts so that you will be blameless and holy in the presence of our God and Father when our Lord Jesus comes with all his holy ones.” (1 Thessalonians 3:12-13). I encourage you to read about God’s Steps to Peace with God HERE, if you aren’t sure you are Rapture ready!